The fact that London has become unaffordable for renters won’t come as a surprise to many. 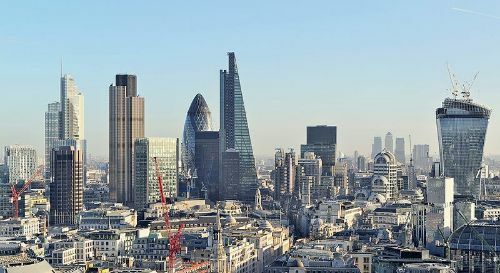 The city has long been one of the UK’s most expensive property spots, both for renting and buying, and the spikes in the housing market have hit in the capital as much – and in some cases, more so – than anywhere else in the country. The most expensive city on the planet? According to the property firm CBRE, London has the highest rents of any city well…on the planet (we’re not joking) so perhaps it’s no surprise that a recent article in the Telegraph concluded that London doesn’t have many affordable renting spots left. Average rents in the capital are now between £1,000-£1,300 per month and if last year’s 4% rises are repeated in 2016 then this is going to get pushed up even further. That means that the basic costs of renting in London are going to be a minimum of £12,000 a year and that’s before you factor in deposits, agent fees and the needs of a larger family or someone with pets. For many people, areas such as Chelsea, Highgate, Primrose Hill and pretty much anywhere within Zone 1 are now completely out of reach. Other traditionally more up and coming areas – Shoreditch and Clerkenwell for example – have also seen price hikes that leave them a total fantasy for much of the London population. So, is there anywhere left for those without huge bonuses and upper middle salaries? Thankfully, there are still some parts of the capital that remain within reach for those looking to rent, although it’s worth remembering that competition for properties in these parts of London is pretty fierce. Those on a budget should be looking at Boroughs such as Bexley, Barking and Dagenham, Enfield, Bromley, Hillingdon, Waltham Forest and Croyden. In Bexley, Havering and Barking, and Dagenham , rents are around £2,000 cheaper – per month – than London’s most expensive districts. However, be warned that the rents in these areas have also risen at a pretty speedy rate so this won’t last forever – in Bexley rents rose by 10% last year. At the end of last year the BBC reported that the rate at which rents were rising was so fast that it was almost overtaking the increase in house prices in the UK, which is widely acknowledged to be steep. Within five years – according to the Royal Institution of Chartered Surveyors – tenants could find themselves being forced to pay up to 25% more than they currently do. This predicted increase is so severe that it could push the rate of rental increases up above the rate of increase in house prices with rents predicted to increase by 5% and house prices by just 4.7%. Thankfully, for 2016 increases won’t be this high – a 3% rise in rents is predicted against a 6% hike in house prices – but it’s worth bearing in mind that over the next five years renting all across the UK – not just in London – could become even tougher than it currently is.